Word for Today: Learn to be a good Listener. Word for Today:Learn to be a good Listener. There is wisdom in divine silence. There is wisdom in learning to be a good listener. Many people, including Christians are so used to talking that they will give you advice even before they listen to your problems. The word of God admonishes us to be quick to listen and slow to talk. 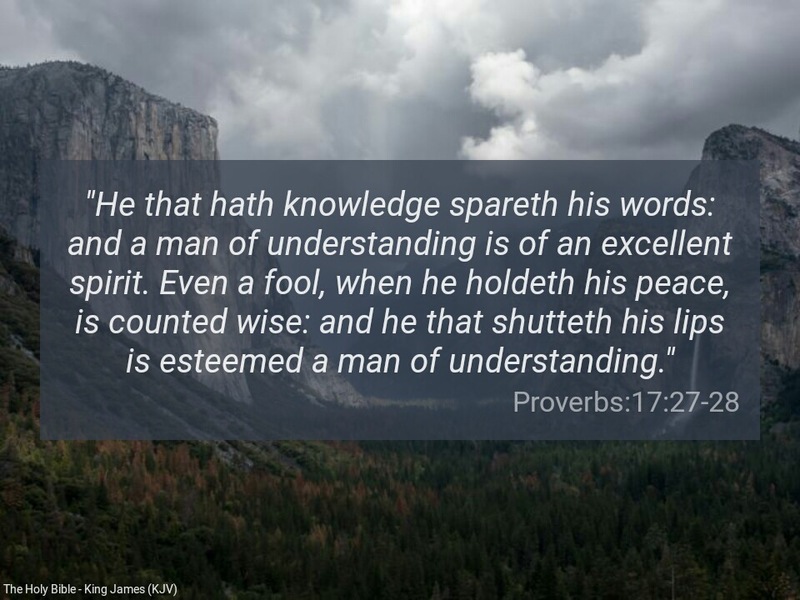 It is interesting to note that even a fool is considered intelligent if he/she keeps quiet! ” Be still, and know that I am God: I will be exalted among the heathen, I will be exalted in the earth” (Psalm 46:10). A good listener is most likely to be a good counselor. Dear Father, please give us the grace to be a good listener in Jesus mighty name. Amen. Previous Previous post: Word for Today: Christians should have contentment. Next Next post: Word for Today: Learn to PERSEVERE in Life.